BENZONIA, MI — It’s apparent why a great number of Americans wonder about the risks of fracking and whether states and the federal government ought to shut the technology down. The breakthrough that now enables developers to recover oil and natural gas from hydrocarbon-rich shales 6,000 to 10,000 feet beneath the surface is potentially fraught with danger. No new technology comes without assorted risks, especially one as environmentally significant and economically powerful as fracking. But along with the risks come benefits. The question is whether the U.S. has the capacity to significantly reduce the threats through regulatory safeguards, or is there one or more aspects of the technology that are so inherently dangerous that fracking should not be allowed at all? Answering the question involves distinguishing the difference between “potential” and “actual” risks and benefits. On the potential side of the discussion, the risks seem fearsome. The fracking process blasts millions of gallons of water mixed with chemicals down a well at ultra-high pressure to shatter the rock and release the fuel. 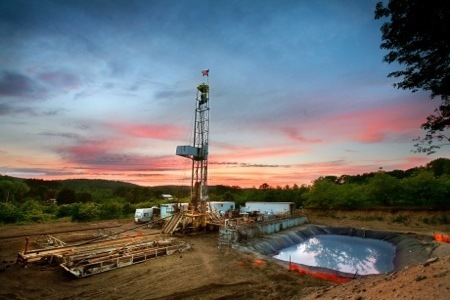 Anecdotal evidence, and several instances of contamination confirmed by the federal Environmental Protection Agency, point to a risk that fracking can contaminate freshwater aquifers much closer to the surface. It’s not clear yet how significant that risk is, though the EPA is studying the issue and preparing to issue a definitive report next year. Public health authorities in Pennsylvania also are starting to study the consequences of fracking to human health, and are focusing on air pollution. Big diesel engines operate at the well sites, and it takes roughly 2,000 truck trips to transport water, fuel, and equipment to each well. Vehicular collisions, moreover, have taken the lives of dozens of truck drivers and motorists in North Dakota and Pennsylvania. Fracking takes millions of gallons of water at each well and is leading to confrontations over water supply on the Great Plains and desert Southwest. Disposing wastewater and fluids from the process has led to spills in North Dakota and Wyoming. Pumping the wastes down deep disposal wells also has caused small earthquakes in Ohio, Arkansas, and Texas. The concentration of wells in a region, all tied together by new roads, pipeline corridors, and assorted processing and pumping stations, has significant implications for the uses of land, particularly if the development occurs in a forested area like Michigan. Other potential risks identified by expert panels as varied as the U.S. General Accounting Office and the Society of Petroleum Engineers include the toxicity of the chemicals used in the process, the level of methane (a potent greenhouse gas) that can escape the well as “fugitive” emissions, and the hazards of the drilling process; in China the shale reserves contain high concentrations of hydrogen sulfide, an acutely poisonous gas. The E.P.A. has taken measures to outlaw fugitive methane emissions. Ohio issued new rules for wastewater disposal. North Dakota has taken steps to protect its water supply. But when weighing the hazards, it’s just as crucial with this technology to consider how fracking is producing a mountain of environmental and economic gifts as well. The capacity to literally cause liquid and gaseous fuel to flow from solid rock has made the U.S. self-sufficient in natural gas production, dramatically lowered oil imports, and helped reduce climate-changing emissions in the U.S. to the lowest levels since the early 1990s. Natural gas has half the carbon emissions per unit of energy as coal. 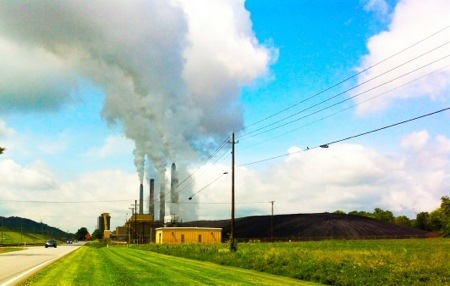 Burning it does not produce mercury, sulfur, and other air pollutants that pour from a coal-fired power plant. Shale gas is apparently abundant enough to drive prices so low that gas-fired electrical generating stations now account for over a third of the nation’s electricity, and they are being built on much smaller parcels of land. Reason: gas-fired plants don’t need extra room for big piles of coal that pollute groundwater and rivers after heavy rains. A new gas-fired generating station also uses 60 percent less water per kilowatt-hour than a coal-fired plant. In the environmental and economic contest between fracked gas and mined coal as a source of energy, it’s not terribly close. Coal is the dirtiest and most dangerous source of fuel at every step of the production and combustion cycle. It’s deadly to mine and causes extensive surface and groundwater contamination from acid mine drainage. In Appalachia, coal companies are blowing the tops off mountains to gain access to veins of coal. Coal-fired plants account for 40 percent of U.S. climate changing emissions, and they’re responsible for much of the mercury that ends up in fish in Michigan and across the northern tier of states. Fracking also is dramatically shifting the economic prospects for the regions where it’s occurring. The closest to Michigan is western Pennsylvania and eastern Ohio, where land and mineral owners have benefited from billions in oil and gas leasing. Many families are taking home six figure checks just for negotiating a lease. Manufacturers, among them Ohio’s steel sector, are building new plants or expanding existing plants. The gas processing industry, driven by billions in new investment, is coming out of the ground in a region that served for two generations as the disintegrating belt in the nation’s Rust Belt. The Rust Belt, though, is reviving. Unemployment in the big and small Ohio River cities – Pittsburgh, Marietta (OH), Wheeling (W.VA), Cincinnati, and Louisville (KY) – has been considerably lower than the national average for several years. Here in northern Michigan, oil and gas development has been well understood since the 1970s when the mile-deep Niagaran Formation was developed. In the 1990s, drillers pursued the much shallower Antrim Shale, prompting a civic pushback due to the potential disruption from roads, pipelines, and processing stations installed in the area’s forests. Now the Collingwood Shale, two miles deep and running up the center of Michigan’s northern peninsula like a spine, is summoning the interest of energy companies. People are justifiably nervous. Does that merit shutting down development here? No. It does mean understanding the actual risks and taking regulatory steps to minimize them.